John ‘Bosco’ Jones was a member of the International Brigade from 1936-1939 during the Spanish Civil War. He fought against the fascist government in Spain during this time alongside the Second Spanish Republic and was among over 2000 british people who joined the International Brigade. The International Brigade’s aims were to stop a nationalist dictatorship taking over Spain and to stop fascism from spreading to neighbouring countries such as France. Bosco left England in ’36 and made his way to Paris where the International Brigade headquarters were. He then had a difficult journey to Spain as France had closed it’s borders to them, so they had to cross the Pyrenees mountains to get there. Many of the Brits who went to Spain were already fighting against the growing fascism movement in the UK. When Bosco and his friends heard about the treatment of the Second Spanish Republic by the government they immediately started collecting donations of food and money for them before going out to fight alongside them. When Bosco and his fellow soldiers got to Spain they travelled in lorries to their first location and after that spent many months at a time in trenches. They fought in many battles including the famous battle of Jarama where many troops lost their lives, including many of Bosco’s friends. Even though Franco’s government succeeded in taking control over Spain the work of the International Brigade is still appreciated to this day and Bosco has no regrets in fighting against fascism. 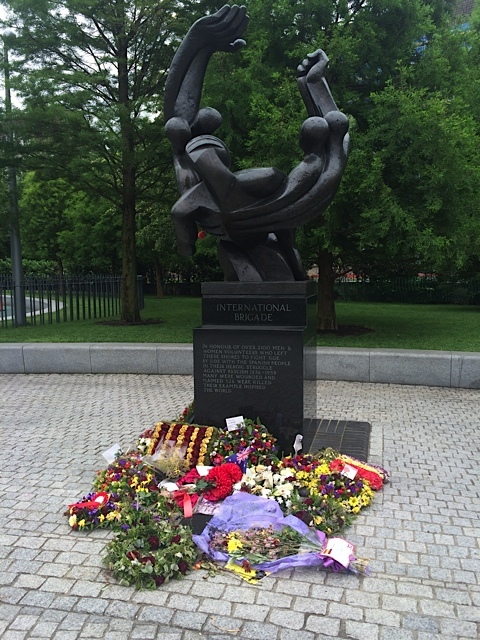 Spectacle was present in 1985 when the International Brigade memorial statue was erected and Scottish veterans gave their views about the war is the video shown above. 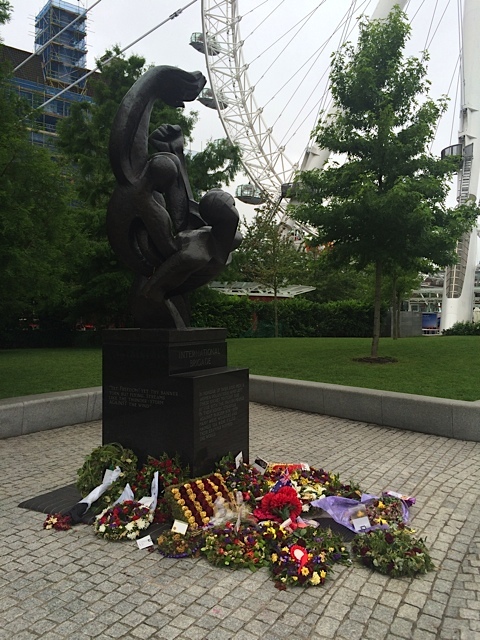 Thirty one years later, the 2nd of July marked the 80th anniversary of the start of the Spanish civil war. 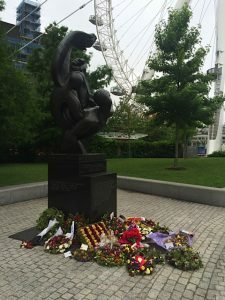 People gathered at the memorial at South Bank to pay their respects to the international brigade, 2100 of which were British, who fought against the nationalists during the civil war from 1936-39. The Nationalists were controlled by Franco’s government, who were fascists, and they had the support of Germany and Italy. The International Brigade was on the side of the second spanish republic and they were made up of volunteers from over 50 nations, there was an estimated 35, 000 of them. The International Brigade was made up of many different people such as communists, socialists, anarchists, jews, but they all had one thing in common and that is that they were anti-fascist. Their goal was to stop a fascist dictatorship from happening in Spain as it could have easily spread to other european countries that weren’t already controlled by fascists, such as France. 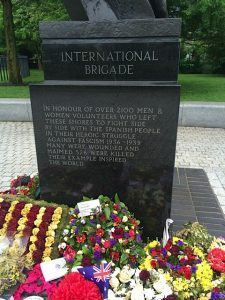 Although the nationalists ultimately won and Franco continued to rule for a further 36 years it is clear that the work of the International Brigade is still valued to this day. 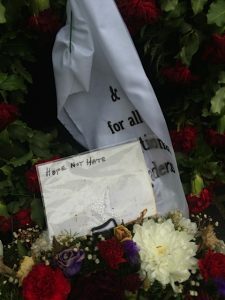 During the memorial held at Jubilee Gardens wreaths were laid for the 526 british volunteers who lost their lives to the cause and there was a minutes silence. Those present at the memorial included representatives from the spanish embassy, trade union veterans and the president of the madrid Association of Friends of the International Brigade. There was also performances from various artists and actors including songs from the upcoming play about the international brigade. In the turbulent times we live in now is it possible we will need another International Brigade in the future and what form would it take? 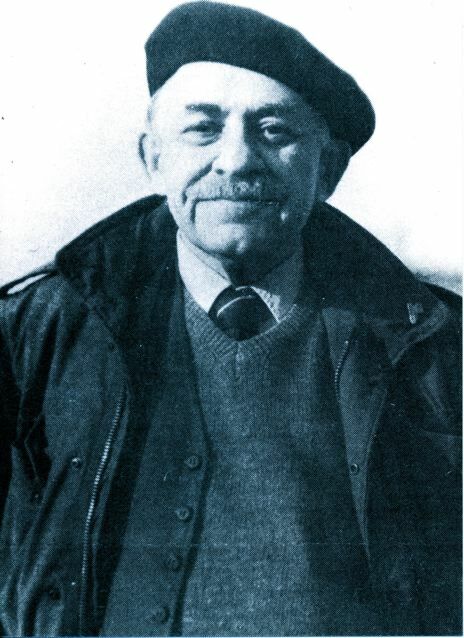 Watch our interview with John ‘Bosco’ Jones about being a member of the International Brigade.